The creation of custom stored procedures in order to replicate the functionality of xp_cmdshell is also a known tactic, as shown by the PowerUpSQL command Create-SQLFileXpDll. 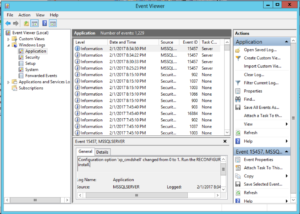 However, this requires writing a file to the disk of the victim SQL server, a “noisy” tactic that could potentially alert an experienced blue team. New-CLRProcedure – This cmdlet enables CLR stored procedures on the SQL Server, reconfigures it, loads the Dot Net assembly into memory, then creates a stored procedure from the loaded assembly. Invoke-CmdExec – This cmdlet passes a specified command to the previously created stored procedure, where it is then executed. The account used to execute the New-CLRProcedure cmdlet must have the sysadmin privilege in order to enable CLR stored procedures. The database upon which the technique is executed must have the TRUSTWORTHY property set the TRUE. The built-in database “msdb” has this set by default, and thus is used by the cmdlets. $Query = "EXEC [dbo]. [cmd_exec] '$Command';"
Note that command execution is entirely asynchronous, and no standard output or errors are returned to the user. If you can think of a way to accomplish this, please let me know! This is assuming that CLR procedures are not enabled (which is the default). If CLR procedures are already enabled, say because they are used by a DBA for some reason, then detection becomes significantly harder. 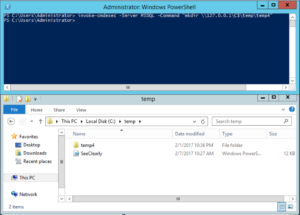 In summary, while it is common for the stored procedure xp_cmdshell to be monitored by a blue team, a sophisticated attacker can use this technique to execute commands in a similar manner. Therefore, the enabling of CLR stored procedures on a SQL Server deserves the same level of monitoring as the enabling of xp_cmdshell. Also, I am pleased to announce that this research will be incorporated into Metasploit as module! You can check it out on GitHub. 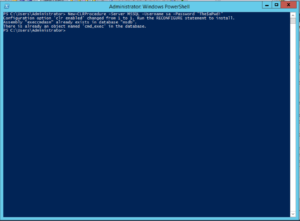 You can find the SeeCLRly PowerShell module I developed here. 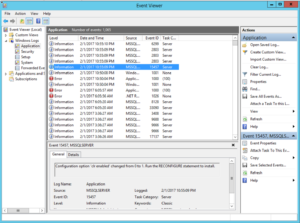 Jourdan Templeton for his post on how to connect to a SQL Server in PowerShell. Andy Novik for his post on how to pass parameters to a custom stored procedure. tifkin_ for doing it first. Scott Sutherland for his amazing work on PowerUpSQL.